Louisville Kentucky First Time Home Buyer Loans Made Here! 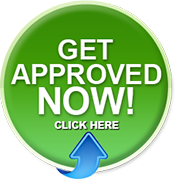 Insured by approved Louisville Kentucky mortgage insurance company. Minimum credit score of 620 or better. Quick turnaround time, 5 percent down payment and no up-front or monthly mortgage insurance. Upfront and monthly Louisville Kentucky mortgage insurance. No monthly Louisville Kentucky mortgage insurance payments for Louisville Kentucky VA Mortgage loans. Kentucky Guaranteed by Rural Housing Services (RHS). What a lot of lenders are experiencing now is that some loans don't close on time for various reasons. You can always extend the lock on the loan but it will costs you usually .125 basis points to do so. If you let the lock expire on the loan, then you have to take worse case pricing on that day when you go to relock. It is usually best to extend the lock on your loan. When applying for a mortgage loan, lenders will pull what they call a "tri-merge" credit report which will show three different fico scores from Transunion, Equifax, and Experian. The lenders will throw out the high and low score and take the "middle score" For example, if you had a 614, 610, and 629 score from the three main credit bureaus, your qualifying score would be 614. Most lenders will want at least two scores. So if you only have one score, you may not qualify. Lenders will have to pull their own credit report and scores so if you had it ran somewhere else or saw it on a website or credit card you may own, it will not matter to the lender, because they have to use their own credit report and scores. KHC with Down Payment Assistance --640 minimum score. FHA will allow a home buyer to purchase a house with as little as 3.5% down. If your credit scores are low, say 680 and below, a lot of times it makes sense to go FHA because everyone pays the same mortgage insurance premiums no matter what your score is, and the down payment can be gifted to you. Meaning you really don't have to have any skin into the game when it comes to down payment. 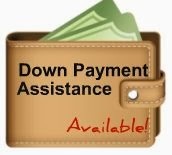 They even allow down payment assistance through eligible parties (government grants or non-profits). Lastly, FHA will allow for higher debt to income ratios with sometimes getting loan pre-approvals up to 55% of your total gross monthly income. Kentucky First Time Home Buyers typically use KHC for their down payment assistance. KHC currently offers $4500 to $6000 for down payment assistance and sometimes throughout the year they will offer low mortgage rates on their mortgage revenue bond program. The down payment assistance usually never runs out because you have to pay it back in the form of a second mortgage. It helps a lot of home buyers that want to buy in urban areas that cannot utilizer the USDA program in rural areas. Most of the time the first mortgage is a FHA loan tied with the 2nd mortgage fore down payment assistance. 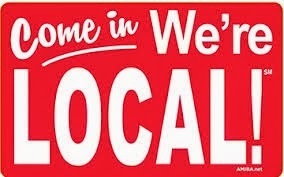 All KHC programs require a 640 score and rates are locked for 45 days. Max income limits are usually set around $112k for a household with the max loan being $283,000 currently.